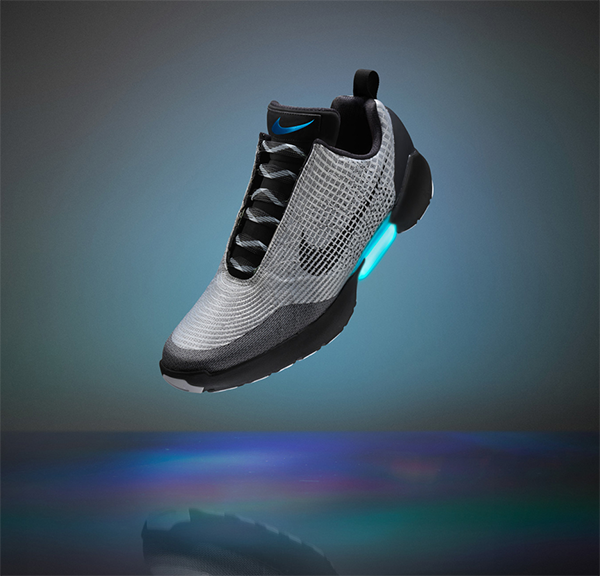 Well-known sportswear brand, Nike, has unveiled a technologically enhanced trainer entitled Nike HyperAdapt 1.0. The adaptive performance of the shoes enables them to self-lace for optimum performance. How does it work? Upon stepping into the shoe, the heel hits a sensor, at which point the system automatically tightens. Control buttons on the side of the shoes allow the wearer to manually adjust the fit as well. The soles of the shoes contain batteries that are recharged wirelessly by induction. A three hour charge affords enough power for a couple of weeks.